Jag-lovers originally evolved around its Discussion Lists and the accumulated Archives where you can view/join in with the latest discussions or subscribe to the Mailing List(s) of your choice now! Most people now access these Discussion Lists and Archives back to 1996 via our Web-based Forums. (Select one! )ask questions?buy and sell things?chat with others online?donate $$$ to Jag-loversfind info on 1986+ Jaguars?find pictures of Jags?find technical help on XJs?find technical help?find/look at brochures?get a JDHT Certificate?get help?identify the cars?look at videos?order a JDHT CD-ROM?place a commercial ad?search the archives?search the website? 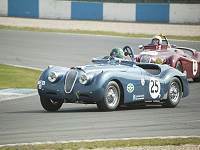 We support our users by hosting multiple Web Sites and Web-based Forums for the various Jaguar models from 1922 to Today's X-Type and the cancelled F-Type Our News pages carry the latest Jaguar pictures! Our sites are a vast internet resource mostly maintained by enthusiasts just like you - visit a site now! Jag-lovers Regalia now available! Check the Jag-lovers official eStore page! Everyone can access our Photo Album (upload your pics), our International Events Diary (latest events shown below) and Chat (IRC). Our very popular Web Forums covering all the Jaguar models continue to expand rapidly with tens of thousands of members and include engine specific forums. Discuss your problems and successes with other users right through to the S-Type and X-Type! Information available on Jag-lovers runs into many GigaBytes! From our Searchable Forum Archives, eBooks, vehicle related data with Concepts, model and price guides plus over 350 brochures from the earliest to the latest. With galleries, hints/tips, newcomers pages, videos and old Adverts we've what you want! The ALC info here!